Alabama Congressmen Mike Rogers (R) from Anniston and Spencer Bachus (R) from Vestavia both released statements applauding the passage of the Jumpstart Our Business Startups Act (JOBS Act). The bipartisan bill was designed to jumpstart the economy and job creation by the Financial Services Committee chaired by Rep. Spencer Bachus. The JOBS Act is made up of six bills that will make it easier for small companies and entrepreneurs to get capital and investors and it makes the IPO (Initial Public Offering) process easier to make a corporate public. The JOBS Act was approved by the House by a margin of 390 to 23. 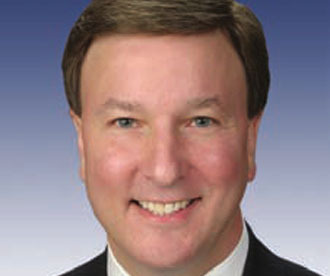 The bill was sponsored by Rep. Stephen Fincher, a member of the Financial Services Committee. After passage Representative Mike Rogers said, “With the current state of our economy, Congress should be doing everything it can to help the heartbeat of our local economies – small businesses and entrepreneurs – have the opportunity to grow and create good paying jobs for hard-working Alabamians. “This bipartisan bill will help cut through some of the red tape these small businesses face. I am pleased this bill passed with my support and hope Congress will continue to stay focused on job creation,” Rogers said. •Reducing the cost of going public. This provision is from H.R. 3606, the Reopening American Capital Markets to Emerging Growth Companies Act of 2011, introduced by Reps. Stephen Fincher and John Carney. The bill creates a new class of public companies called emerging growth companies that will make it easier for more companies to access the capital markets by reducing the cost of going public for small and medium size companies. Removing a regulatory ban that prevents small companies from using advertisements. This provision is from H.R. 2940, introduced by Rep. Kevin McCarthy. The bill removes the regulatory ban that prevents small, privately held companies from using advertisements to solicit investors. Removing SEC restrictions that prevent companies from raising equity capital from a large pool of small investors. This provision is from H.R. 2930, introduced by Rep. Patrick McHenry. The bill removes SEC restrictions that prevent “crowd funding” so entrepreneurs can raise equity capital from a large pool of small investors who may or may not be considered “accredited” by the SEC. Increasing the offering threshold for companies exempted from SEC registration. This provision is from H.R. 1070, the “Small Company Capital Formation Act,” which was introduced by Representative Schweikert. The bill makes it easier for small businesses to go public by increasing the offering threshold for companies exempted from SEC registration from $5 million to $50 million. Raising the threshold for SEC registration. This provision is from H.R. 2167, the “Private Company Flexibility and Growth Act,” which was introduced by Representative Schweikert. The bill removes an impediment to capital formation for small companies by raising the shareholder threshold for mandatory registration with the SEC from 500 to 1,000 shareholders. For more information about the JOBS Act, click here.